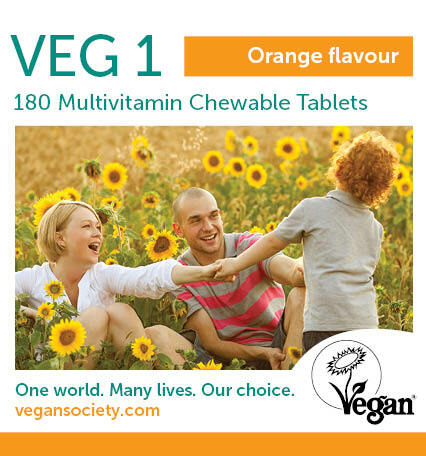 This is the website of The Vegan Society. The Vegan Society is a registered charity, number 279228, and a Company Limited by Guarantee, company number 1468880 in England and Wales, both of which are data controllers of your information under the Data Protection Act 1998. We can be reached online or phone +44 (0)121 523 1730. If you've indicated that you're interested in receiving further information about our activities, we may send you any information we believe may be of interest to you. You can ask us to stop sending you such information at any time by contacting us on info[at]vegansociety[dot]com or by unsubscribing on the email. We'll only send you information about our work by email where you've given us your consent to do so. For example, where you have given consent to be contacted by email, we'll normally sign you up to the monthly email newsletter. You may also receive a welcome email telling you about the newsletter and letting you know about other ways to support us. Emails we send you will always give you the chance to opt out of receiving further emails or alternatively, you can contact us using the contact information above. We don't send out random, untargeted emails, known as spam. The Vegan Society will not disclose any of your personally identifiable information except as outlined in this policy or when we have your permission or under special circumstances, such as when we believe the law requires it. Throughout our web pages, we provide links to other servers which may contain information of interest to our supporters. We take no responsibility for, and exercise no control over, the organisations, views, or accuracy of the information contained on other servers. This website is designed to be accessible to visitors with disabilities, and to comply with guidelines concerning accessibility. We welcome your comments. 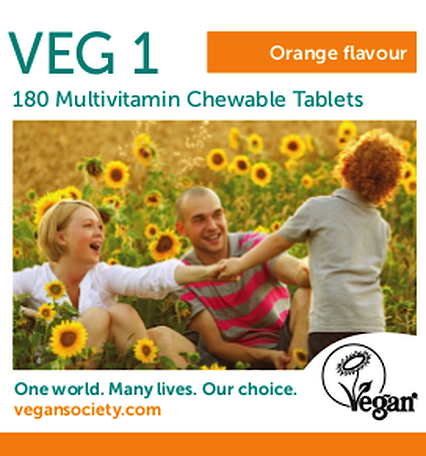 If you have suggestions on how to make the site more accessible, please contact us at web[at]vegansociety[dot]com. Where you have voluntarily provided your details or given us explicit consent, we may use your contact information to send further information about our organisation or to contact you when necessary. You may always opt-out of receiving future mailings; see the 'Opt out' section below. If you sign up to one of our email lists, we will only send you the kinds of information you have requested. We won't share your name or email address with any outside parties. 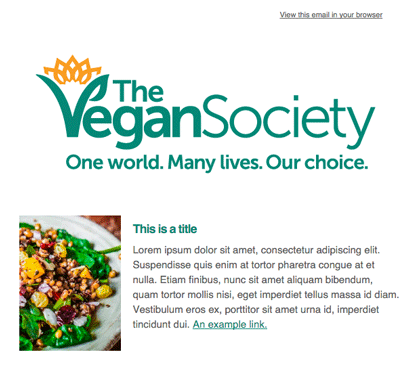 If you wish to opt out of specific online or offline communications, or for us to remove you from our database altogether, please contact us on info[at]vegansociety[dot]com or by unsubscribing on the email. All pages that accept credit card information use secure server software (SSL) with 128-bit encryption: the industry standard for secure commercial transactions. This encrypts all of your personal information, including credit card number, name, and address, so that it cannot be read as the information travels over the Internet. While on a secure page, the lock icon on the bottom of web browsers such as Firefox and Internet Explorer becomes locked, (as opposed to unlocked or open when you are just surfing). We are also concerned to protect your personal information off-line. We take steps to ensure that access to personal information is restricted to employees who need it. All Vegan Society employees who handle personal information are kept up-to-date on our security and privacy practices. Our employees are notified and reminded about the importance we place on privacy, and what they can do to ensure your information is protected. These allow us to track the number of visitors access the website as well as obtaining the sources of these visits. We can use this information to further improve the performance and user experience of our site. This allows our server to recognise returning users between page refreshes for such functionality as logged in user sessions. The cookies generated by AddThis allows the feature to track the use of the tool, including approximate location. They also help measure and model user interests. More information about these cookies can be found on the AddThis support page. Mailchimp cookies are used to track individual use of their mail signup tool so they can measure its effectiveness and further improve their products. Facebook cookie(s) are used for Facebook Pixels and allow us to track page views and user behaviour such as purchases on the website. We do not use custom audiences or upload personal data to Facebook for advertising campaigns, in this case Facebook acts as the data controller and we do not have access to the specific details being gathered. Further information about cookies, including steps you can take to refuse their use, can be found at the Interactive Advertising Bureau's website www.allaboutcookies.org. If you wish to exercise any of these rights, please send an email to dataprotection[at]vegansociety[dot]com.  If you have any questions about this privacy statement, the practices of this site, or your dealings with this website, you can contact us at web[at]vegansociety[dot]com. Members of the public have the right to inspect company records of The Vegan Society. These are records and registers (e.g. register of members, register of directors etc.) held by the company and available for inspection at the company’s registered office. The information shared is limited to name and address. The records are kept at the registered office: The Vegan Society, Donald Watson House, 34-35 Ludgate Hill, Birmingham, B3 1EH. Inspections can be arranged on Monday to Friday, between 9am and 3pm. The request should state your name and address, the name of any organisation for which you are acting, the date and time you would like to come to the office and which records you would like to inspect. You must also state the purpose of your request*. We will charge members of the public £3.50 per hour (or part thereof) to inspect our records. Members of the company will not be charged and should include their membership number in written requests. You may ask for copies of company records. Please note that we can only provide electronic copies if our records are kept in electronic form. There will be a charge for copies of registers and records. a member wanting to contact other members about matters relating to The Vegan Society, subject to current legislation at the time of application. We hope that you won’t ever need to, but if you do want to complain about our use of personal data, please send an email with the details of your complaint to dataprotection[at]vegansociety[dot]com. We will look into and respond to any complaints we receive.